Screen Queensland (SQ) unveiled a new initiative in 2016, entering into the Virtual Reality (VR) space and partnering with SBS in Untold Australia Season 2. 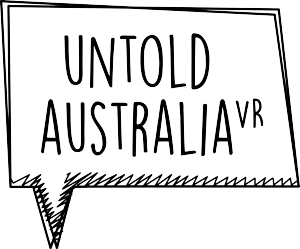 Untold Australia Season 2 commissioned up to four talented Queensland filmmakers, or teams, to develop, produce and market VR short-form documentaries exploring the diversity of Australia’s people, their cultures and lifestyles. Untold Australia is calling out for Queensland filmmakers and teams to create stories and experiences that explore hidden worlds of Australian cultural diversity. These can be hidden subcultures, unexplored areas of cultural diversity, or an unexpected way of tackling social cohesion and culturally diverse issues. The total budget will be up to $400,000 for the entire series. There is no fixed budget for any single VR project. Each will be assessed on their own merit and cost. For further information, please read the FAQs document for Virtual Reality. Submissions will be produced in (but not limited to) Google Cardboard, Samsung Gear VR and Oculus Rift with suggested length 3 – 15 minutes.